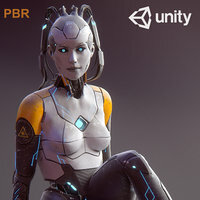 This is a high quality rigged female scan. The digital double comes with high detailed textures. 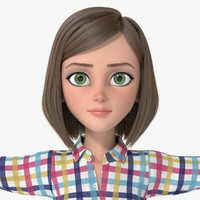 The Actor has an athletic body type and simple to modify and add to topology. The scan was done with a technique called photogrammetry, processed through zBrush, rigged with Mixamo's Mechanim ready joint structure and rendered for display with Marmost ToolBag 2. Rendered images images don't have post effects. What you see is what you get. The scan is of 165cm in height in real-world units. Garments and clothing can easily be added to the model, as it was made to be available for full modification to suit your projects style and taste. You can use this in-house made topology for whatever other characters you may want to create out of this scan. Apply new textures, normal maps, split and recombine with our other available scans however you wish. 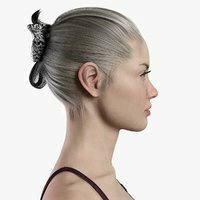 zBrush asset may be found on the store in my directory which will give you full access to all levels and full color data. 1. The file is of FBX type. Both, Color and Normal Textures will need to be re-hooked up manually. 2. Clothing is a part of the texture and is not a separate geometry piece. The model does not include teeth or eyes, although all textures are there and can be easily extracted and repurposed. Can be made available in other file formats. 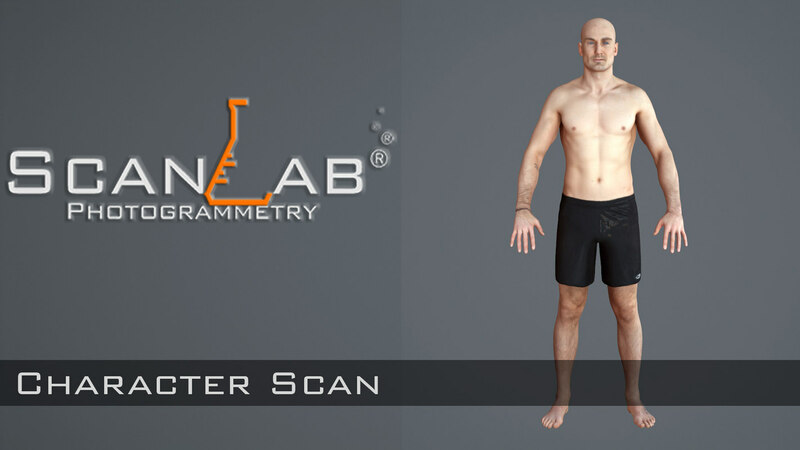 Scanlab Photogrammetry is a Vancouver based 3D scanning studio comprised of a few people with 10+ years of experience in character and sets modeling. We specialize in high resolution 360 degree capture of full bodies, heads and clothing. We started our endeavour after being dissatisfied with the laser and structured light scanning solutions, which have proved be useful for reverse engineering of mechanical parts, but are not at all enough for non-rigid human bodies. They are slow, wobble-prone, bad for your eyes and in some extreme cases outright cancerogenic. Our solution was to turn to Photogrammetry, which is super fast and super accurate, but do require an elaborate setup and precise control over the environment and a little bit of set-up time. But the result is well worth it.